BOSTON (CN) – A Massachusetts zoo must face Endangered Species Act claims over its treatment of two Asian elephants in the collection, a federal judge ruled Tuesday. Though a group called The Friends of Ruth & Emily — which is named after the elephants at issue — brought the underlying complaint last year against the city of New Bedford, the group’s pro se status seemed primed to doom the lawsuit. Indeed group president Joyce Rowley had signed last year’s complaint, but Rowley is not herself an attorney. Rowley substituted herself as plaintiff to overcome this hurdle but she still had to sway the court as to her standing. After requesting briefing on the issue from the parties, U.S. District Judge William Young ruled Tuesday against New Bedford’s motion to dismiss. The ruling notes that New Bedford runs the zoo here out of Buttonwood Park, and Rowley visits it on a daily basis to observe the elephants Ruth and Emily. Rowley’s group applauded Young for advancing the suit. Although the zoo has announced that it plans to close its elephant exhibit once Emily and Ruth die, the friends group would like to see the elephants relocated to a 2,700-acre natural reserve in Hohenwald, Tennessee. 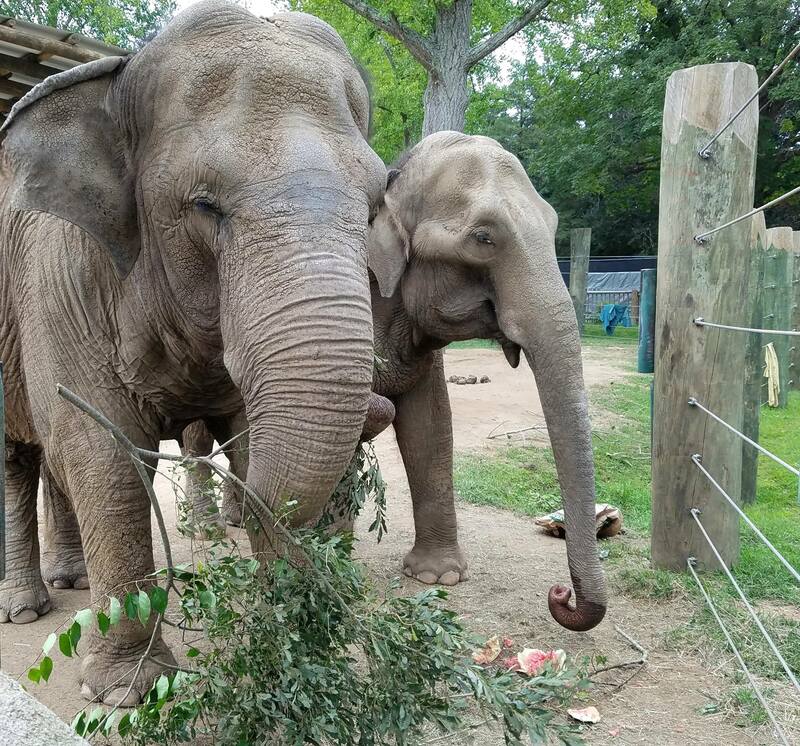 Friends of Ruth & Emily notes that its namesakes are both older than 50, suffering from a series of chronic injuries, including foot problems from standing on concrete for hours and gastrointestinal problems that nearly claimed Ruth’s life recently. Ruth and Emily are all either elephant has for company, but their supporters notes that they do not get along. Emily, who outweighs Ruth by about 2,000 lbs., is known to attack her fellow pachyderm regularly. At one point in 2006, Emily bit about 6.5 inches off Ruth’s tail. According to the complaint, these attacks, 36 of which were documented from 2005 to 2015, include Emily hitting, biting, headbutting, shoving or pushing Ruth down. The complaint notes that Ruth lost another 10 inches off her tail in 2014 when the zoo’s failure to lock the barn during a blizzard caused the elephant to suffer hypothermia and frostbite. Asian elephants have been protected by the U.S. Endangered Species Act since 1976. There are approximately 40,000 left in the world. A representative from the zoo did not respond to an email seeking comment.